Founded in the early 1700s, Old Town has a rich history that has been beautifully preserved. 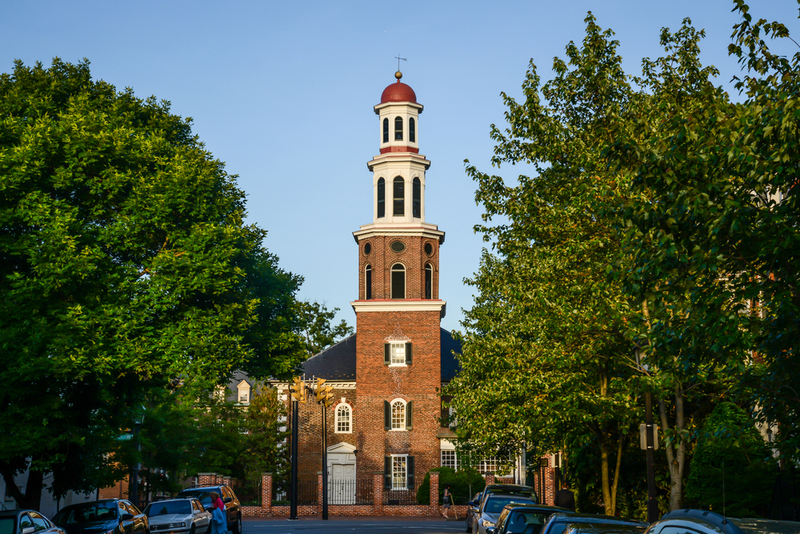 It is easy to step into the past by visiting Carlyle House, Christ Church, Gadsby's Tavern, The George Washington Masonic Memorial, the Apothecary Museum, and St. Paul's Episcopal Church and numerous other historic attractions. Old Town's historical architecture is a charming backdrop to a thriving waterfront with boutiques and antique stores. Don't miss the annual Summer Sidewalk sale held in August. Restaurants in Old Town have been praised by Bon Appetit, The New York Times, and Food and Wine, to name a few. A prime time to try out some of the local fare is during Restaurant Week. Click here to see a list of ideas for brunch, outdoor dining, and pubs. After a bite to eat, you can sample Old Town's vibrant art scene, as evidenced by the numerous and popular galleries, art fairs, theaters, and music venues, including The Torpedo Factory Art Center, the Art League School, Metro Stage, and the Alexandria Symphony Orchestra. For a full list of art offering in Alexandria, click here. Seasonal offerings include the Holiday Boat Parade of Lights in December and the Saint Patrick's Day Parade complete with bagpipes and Irish dancers.